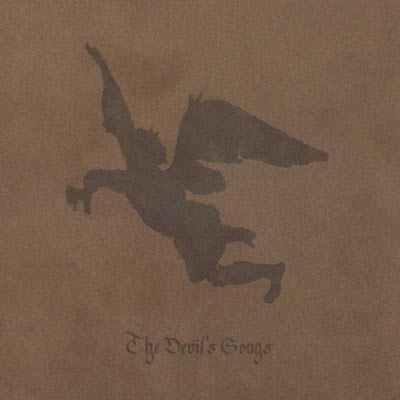 Brown and degraded, lost in a decadent luxurious mustiness of endless life, The Devil's Songs, the lone release of Mortiis' side-project Cintecele Diavolui, is a foray into the atmosphere of the vampire. Instead of Twilight or Nosferatu however, this vampire experience feels much more distant, spiritual, and contemplative. The hunger is ever-present, and the world around it is a melancholy meditation, in a realm where the ticking clock of mortality doesn't exist, and one can live only by their hungers. Like many stories of the undead, and particularly vampires, this seems to be about a creature who is out of place in the modern world. Nobility, noble ignorance, and mysteries in the darkness will always remain, immortal like vampires, but in the modern world they are mere monsters. All of Mortiis' early work is about embracing these decayed dreams, and likewise that is the very nature of this entire genre he played a major role in pioneering. Here the vampire is embraced in a very pleasant jaunt through the cobwebbed passionate mind of the most dignified of the undead. The music makes major use of the organ, and is much more bouncy and whimsical than the material under Mortiis' main moniker. In some way it manages to be both cheerful and melancholic, like the mind of a cynical world-weary dancer. In that way it comes across to those of us raised on the darkest music as some of the very rare songs that are both honest about existence as well as upbeat and fun. This was one Mortiis project that never saw enough material for the vision to be fully realized though. One can understand it, from listening to this EP a number of times, but what this could've become was an entirely unique drunken funeral circus, and this albums reveals the road. Perhaps the vampire realized that he was actually mortal, or perhaps he just became hungry and so had to pretend to be a human so that he might mingle amongst them and gain sustenance, or perhaps he never was able to feed and the vampire died; either way, Cinetecele Diavolui never saw another legitimate release. In that way it is like many other dungeon synth works: nobody appreciates them, nobody lets the projects grow, not even their creators. And why would they? It's pride in personal fantasies entirely removed from reality. It's affirmation of the isolated loner, a loser with grand dreams but nothing keeping him from dying in the streets like Kuranes. At least black metal provides the illusion of unity with others, meaningful purpose opposed to madness, simply because you are not alone. It's no wonder then that the fantasy of the vampire would appeal to the dungeon synth maestro. If only, if only... a man could only drink blood and then live eternally seeking out that impossibly illusive dream that he knows could only be found in unlimited eternity. Everyone wants to live their life in the best way possible, but few would advocate years of simple dreaming. And so the music fantasizes, as dungeon synth always does, and this fantasy is dreary and brown, like the moth-eaten abode of that ancient pale creature, but also it is passionate and carnal, feasting while sighing about hopeless road ahead. it will be great for me to know how mortiis recorded his stuff back in the days. also what will be the better equipment to record this music today (old korg keyboards? pc with ableton or similar?). Hope this isn't too "out of topic" for the blog. I don't remember for certain but I think I read an interview where he said he used an 8-track tape recorder and a physical keyboard. To make it today depends on your goals. If you simply want more of this music, and wish to recreate the enchanting atmospheres in the way that has been proven to work, I'd say only use vintage equipment. If you want to experiment and work toward expanding the genre in new directions, see how to recreate the atmospheres with modern technology. When I personally mess with making this kind of music I like to use both approaches, recording tracks by hand with physical keyboards into the pc and experimenting with an easier composition style, many different layers, echo, reverb, etc. However I believe that establishing a "traditional" method to artistic creation within a specific genre will cause it to decay, such as we see in black metal right now, however maybe 'decay' is fitting for this type of music. As you see, I'm far too uncertain of myself to give you a straight answer on this. Everyone's artistic inspiration is different. Experiment, and then you might know when you've nailed it, and if not, maybe you weren't meant to make art. in a way I see stereotypes as an easier approach to music (on both sides: for listener and for composer). If this lead to a decay, to stagnation, than is bad. Critics and fans enjoy this sort of Hermeticism made by codes. I do not. Well, That's just my personal view of the matter. Thanks again, also for the work of the whole blog.